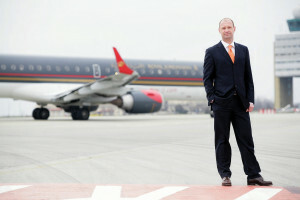 Budapest Airport’s audacious ambition to turn the city into Central and Eastern Europe’s “Gateway to Europe” took an enormous leap forward last year, as it set records in every major category, including number of passengers, average load factor and customer satisfaction, culminating in recognition as the Best Airport in Eastern Europe at the World Airport Awards. The recently renovated terminals were bustling as 2014 saw the Liszt Ferenc Airport welcome five new airlines and 10 new routes. The airport, Hungary’s largest and one of the world’s fastest-growing, smashed its record for passengers served, set in 2011, when the nine millionth passenger arrived in December. This marked the first time in its 71-year history that the airport had reached the nine million threshold, and a special ceremony was held to mark the achievement. All in all, the recently renovated terminals saw over 9.15 million passengers served, an impressive 7.5% increase from last year. When Hungarian flagship airline Malév went under in early 2012, it looked to be a disaster right at the time when the Hungarian air industry was set to “take off”. 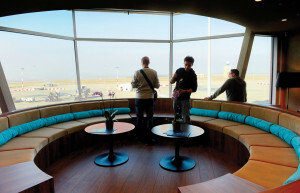 The airport had only completed Terminal 2B in 1998, Terminal 1 had just completed its award-winning restoration, and Hungary’s new Wizz Air was beginning to corner the Central and Eastern Europe budget airline market. The loss was monumental – besides the significant shortfalls in revenue, the airport lost nearly half of its traffic and routes to 50 cities in 34 countries. The airport reacted swiftly, coaxing Irish budget airline Ryanair to open a hub and restoring nearly 60% of the traffic caused by Malév’s departure. Today, Ryanair is one of only two airlines (with Wizz Air) to use Budapest Airport as a hub. While Hungary’s primary airport still faced hurdles – such as the closure of Terminal 1 – recent years have seen a resurgence in its fortunes. The sparkling Sky Court, an expansion featuring shops, restaurants and business lounges that connects Terminals 2A and 2B, opened in 2011, increasing the capacity of Terminal 2 from seven million to 11 million passengers. The increased capacity, along with the consolidation of traffic from Terminal 1, led to the record numbers posted last year. See the box at right for just a few of the records the airport set in 2014. Lost in all the talk about records, however, is the significant growth the airport continues to see. In 2013 it added 15 destinations, including Eastern European capitals such as Minsk, Baku, Moscow Vnukovo, and Istanbul Sabiha Gokcen. Last year, the airport welcomed new airlines Vueling of Spain, Air Serbia, Turkey’s Pegasus Airlines, Emirates and France’s Transavia, as well as 10 new routes to destinations such as Rotterdam, Alicante and Leeds/Bradford. 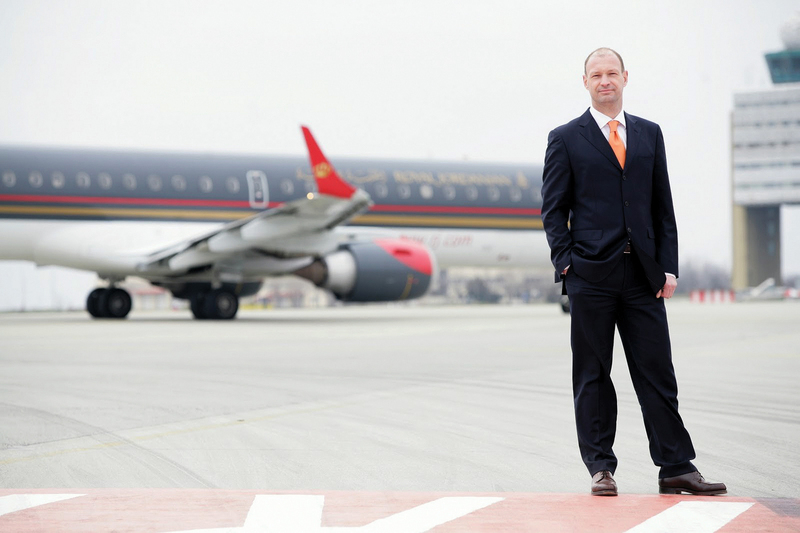 Jost Lammers, the chief executive officer of Liszt Ferenc Airport, sees big things ahead. “We will continue to do everything we can to make Budapest and Hungary the fastest growing destination in the CEE region,” he said. Continuing to do everything the airport can, as Lammers iterates, pretty much means continuing to do the same thing. Already 2015 promises to add three new airlines, nine new routes including destinations to North America once again, and a new multi-storey car park. In addition, after adding its eighth plane from its fleet to call Budapest home in 2014, Wizz Air will base a ninth plane at the airport to go along with their fancy new maintenance hangar. The airport also expects to complete the modernisation of its instrument landing system. Not only will Budapesters have that many more route options, including trans-Atlantic flights to Toronto or Montreal via AirTransat, but the airport expects to top the record number of passengers in 2014 with expectations of up to 9.6 million. So while spirits are high at the facility after the most successful year in the company’s history, the expectations for 2015 are even higher. It looks as though the year is off to the right start straight away, welcoming Hungary’s first Victoria’s Secret boutique this month to go along with such other airport luxury brand stores as Burberry, Hugo Boss and Mont Blanc. Also opened already this year are two swanky new Celebi VIP areas (pictured). The EUR 250,000 refurbishment adds additional options for the travel-weary business class in addition to the popular SkyCourt and MasterCard business lounges. Lammers explains what the increases mean: “This robust growth enables us to continue our airport modernisation and development programme, worth over EUR 15 million just this year.” Eastern Europe’s best airport looks set to continue its rapid and impressive growth, staking out a solid claim as the pre-eminent CEE “Gateway to Europe”.